Ageless Female: Does Ageless Female Work? 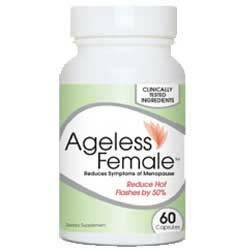 As per the manufacturer, Ageless Female is a supplement especially formulated to relieve the most common and problematic symptoms of menopause. This includes hot flashes, night sweats, irritability, sleeplessness and vaginal dryness. The product contains a combination of clinically proven herbs and nutrients. It also contains vitamin D for supporting bone health which is a common problem in menopausal women.However according to reviews results are temporary. New Vitality is the company behind Ageless Female. The company is relatively unknown in the supplement industry although their Ageless Male formula has become quite popular. There are complaints because of the auto shipment program for products from the company including the one being reviewed in this article. All the products of New Vitality come with a 30 day money back guarantee. Ageless Female – Does it really Work? Ageless Female primarily works by addressing the main cause of the different symptoms of menopause which is hormonal imbalance. The product also utilizes natural extracts that have been used for centuries to treat female reproductive health problems and menopause symptoms. It contains a special herb that has been shown to significantly reduce hot flashes within 4 weeks of intake. The formulation also provides the body with vital nutrients that address certain issues related to menopause such as bone health. What are the Ingredients In Ageless Female? Black Cohosh Root – Studies indicate that this herb is rich in compounds that provide significant relief to hot flashes. It also helps relieve other menopause symptoms including night sweats, sleeplessness and irritability. This herb has been used in traditional medicine for centuries to treat menopause symptoms and female reproductive issues. However, it does not has long lasting effects. Chaste Tree Berry – It is said to stimulate and at the same time regulate anterior pituitary gland function therefore promoting hormonal balance. It addresses the root of the different symptoms of menopause which is the reason it is common in the formulation of menopause relief supplements. Vitamin D – This is an essential vitamin to bone health since it helps the body absorb calcium. Studies indicate that deficiency of this vitamin is one of the most common causes of reduced bone density especially on menopausal women. Milk Basic Protein Fraction – This is derived from milk and it is now one of the most promising compounds when it comes to maintaining or improving bone health. Studies indicate that it is effective in maintaining healthy bone density during and after menopause. Potassium Bicarbonate – It is a natural source of potassium which helps in relieving menopause symptoms. It also helps with the maintenance of healthy bone density by promoting the right balance of calcium and phosphorus in the body. The formulation uses active ingredients. However, no substantial evidence is available to prove it is effective. There are feedbacks from users saying it is really effective in relieving menopause symptoms. Take one capsule in the morning and one capsule in the evening. Follow intake with a glass of water. It can be taken with food to prevent gastric disturbance. After taking a close look at Ageless Female and scrutinizing its ingredients, this is a good menopause relief supplement. 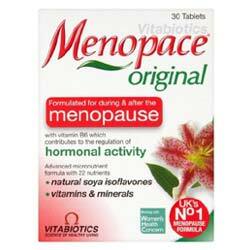 It contains active ingredients that are backed by science in relieving the different symptoms of menopause. However the effect of this product is temporary.Also,this product do not offers money back guarantee.